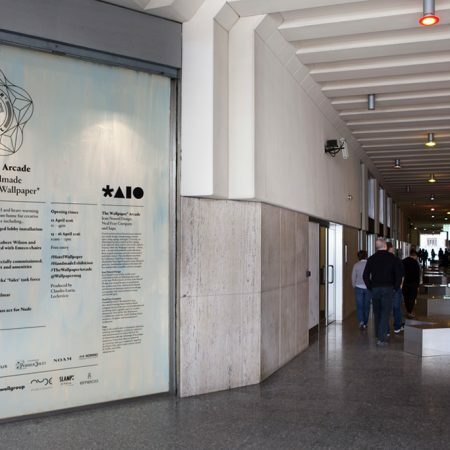 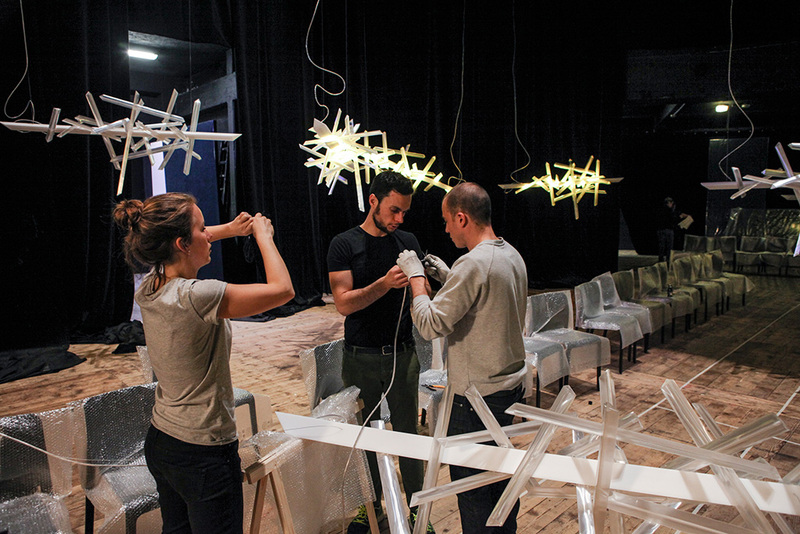 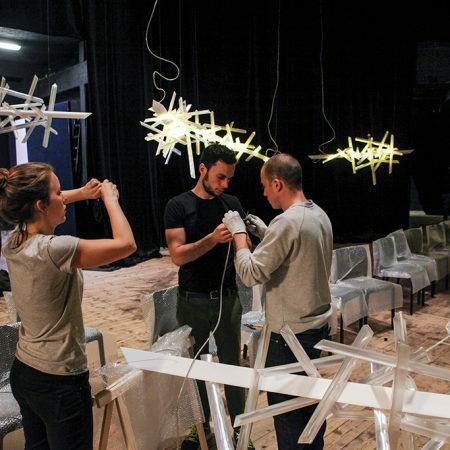 From the first sketches in September, 2015, to its presentation this past April during the Salone del Mobile in Milan, “La Traviata” has been a journey, from New York and Milan, to Rome, Perm, and Berlin. 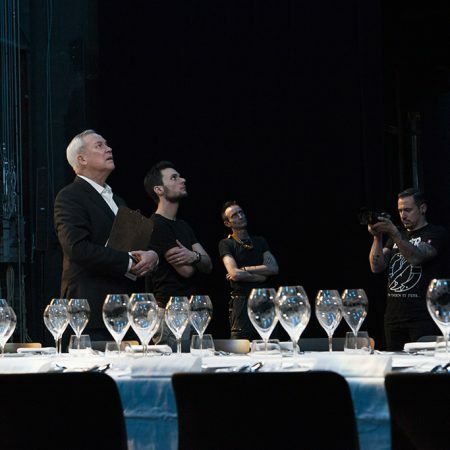 It is the successful synthesis of two contrasting realities; theatre, filled with emotions and empathy, and the technological-pragmatic challenges of manufacturing . 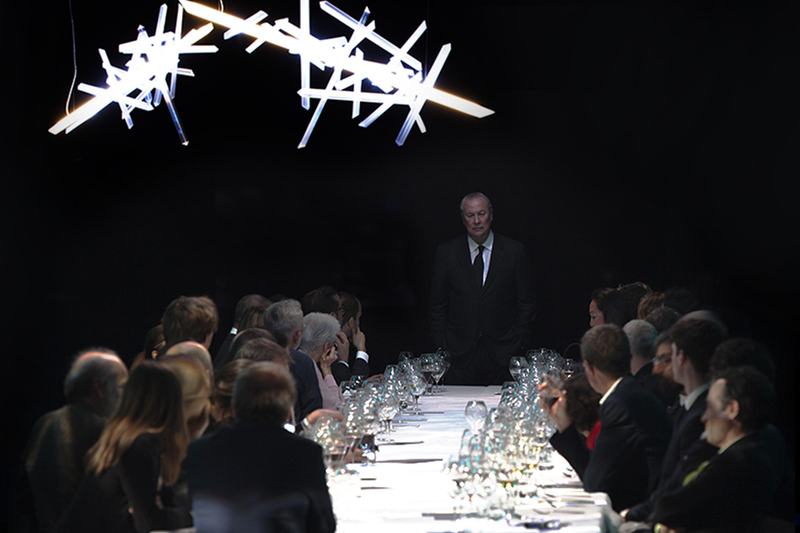 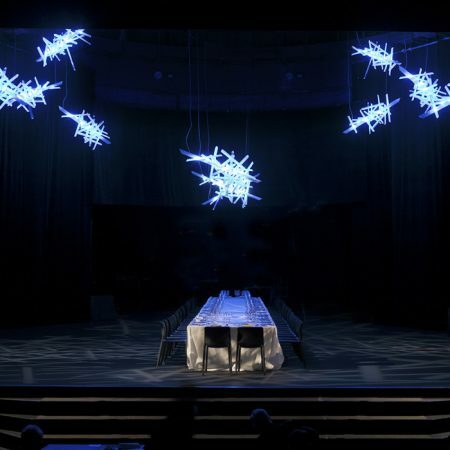 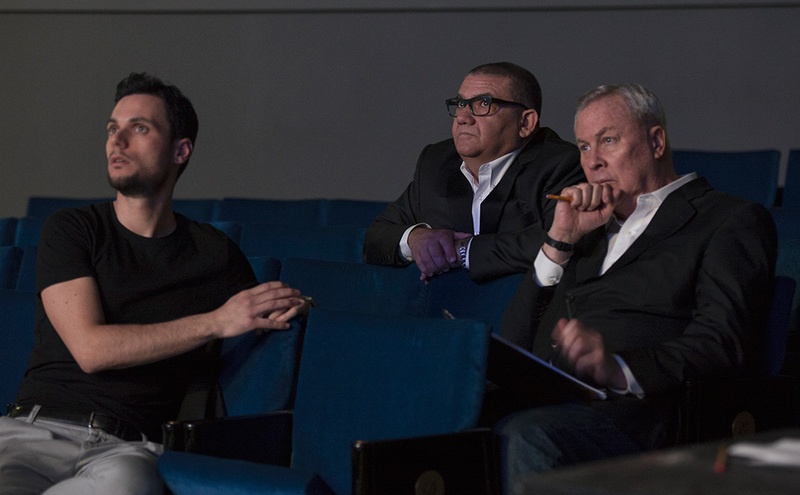 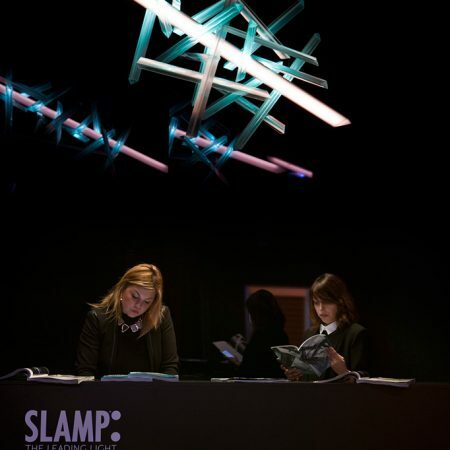 There was a constant dialogue between the visionary theatre producer, Robert Wilson, and the fresh energies of Slamp’s innovative R&D department. 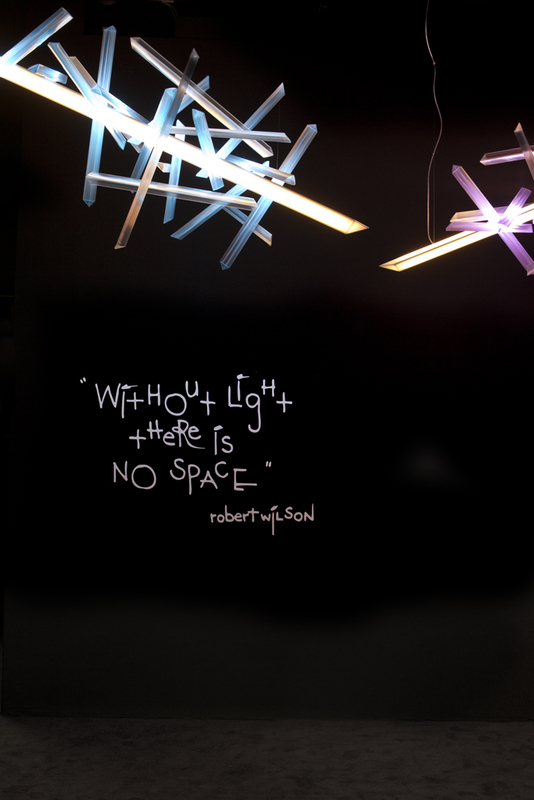 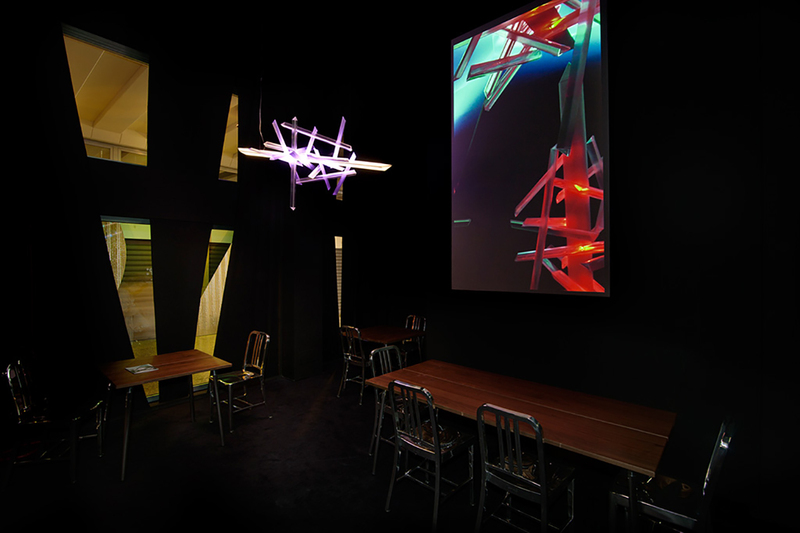 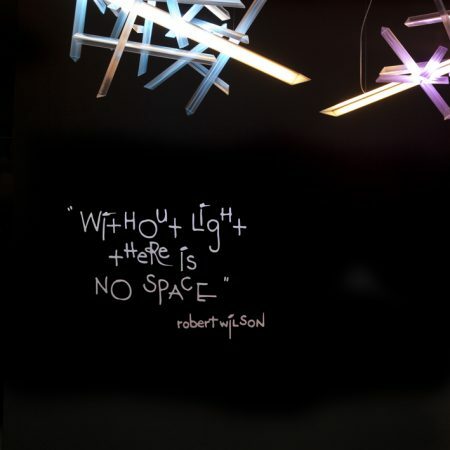 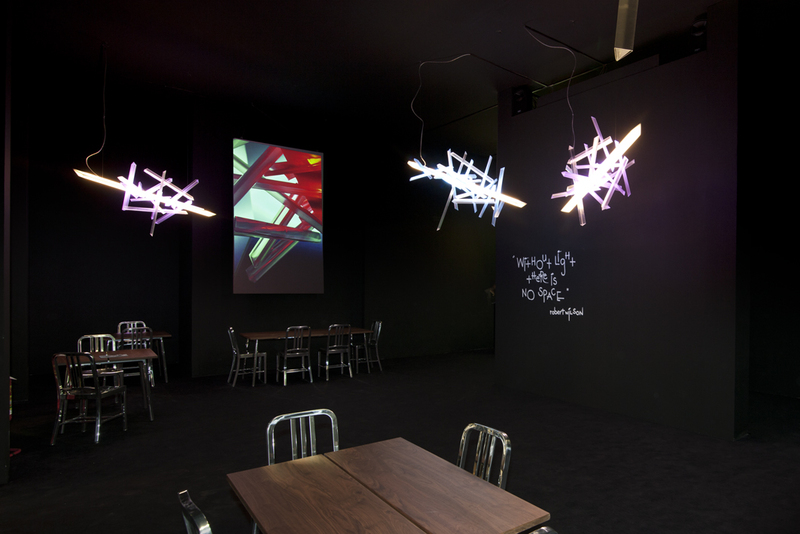 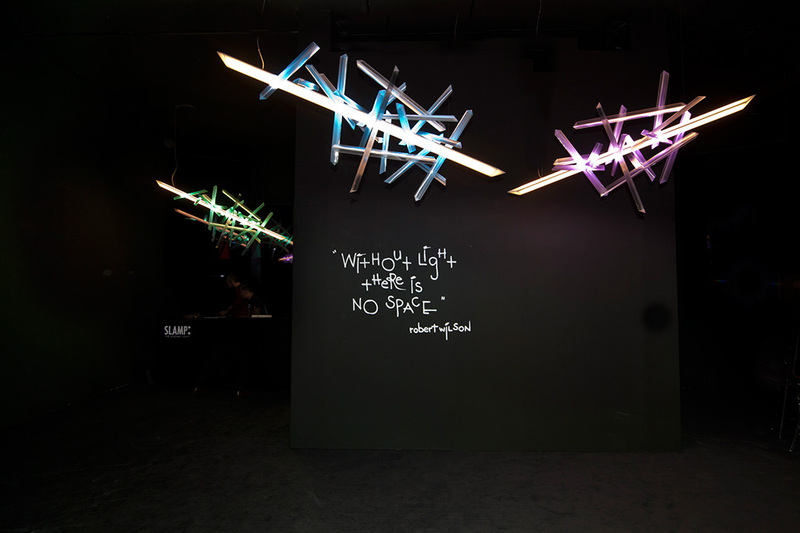 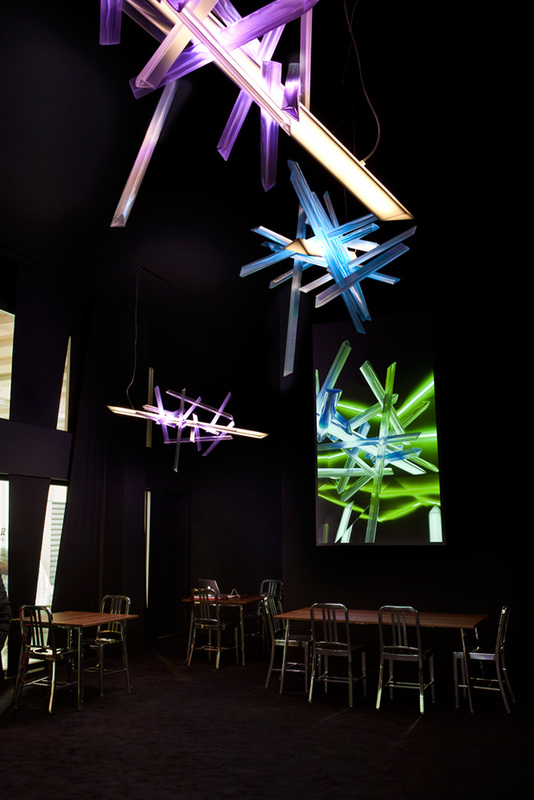 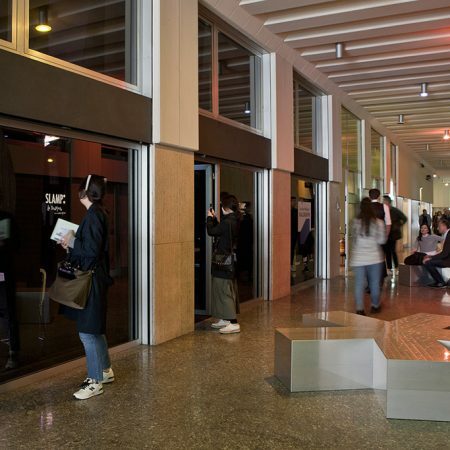 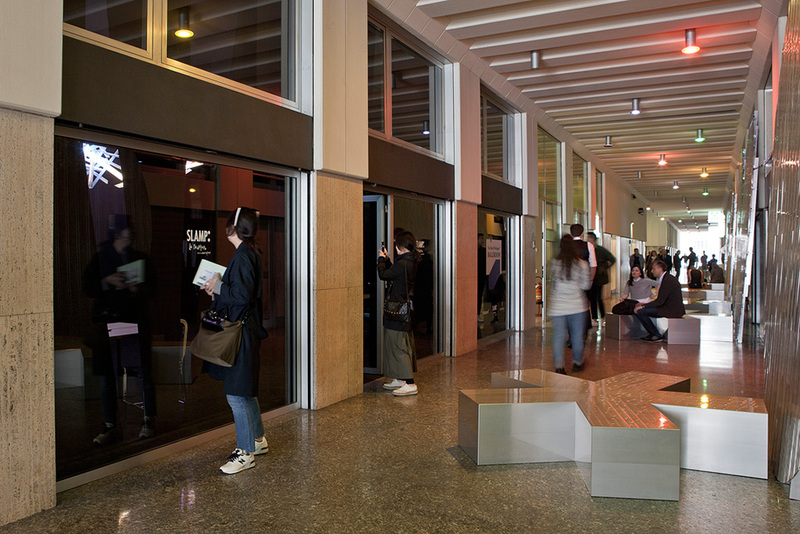 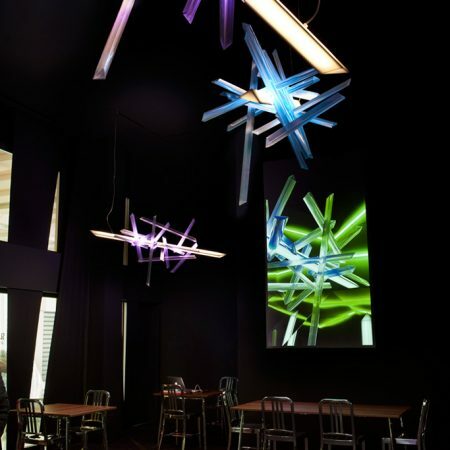 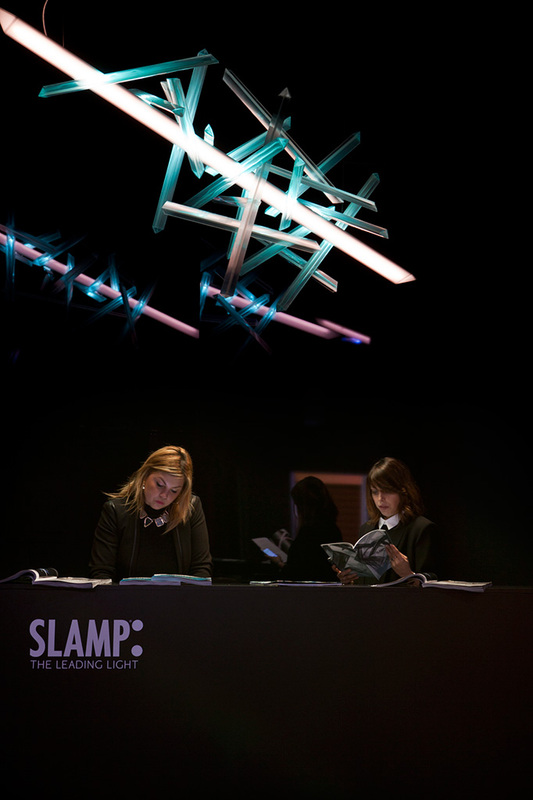 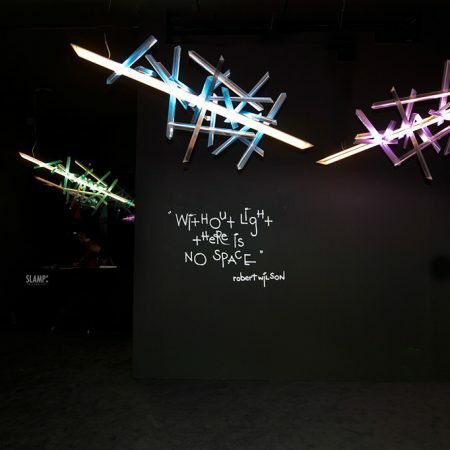 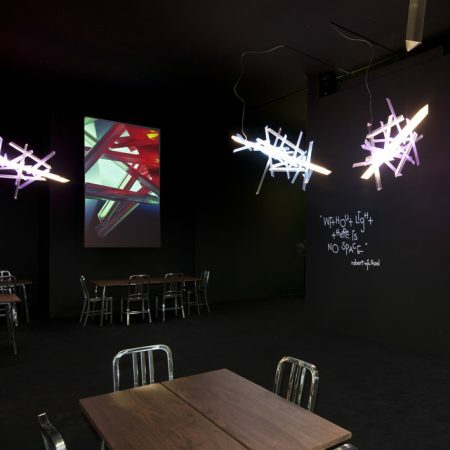 The light sculpture is presented in two different occasions during the 2016 Fuorisalone. 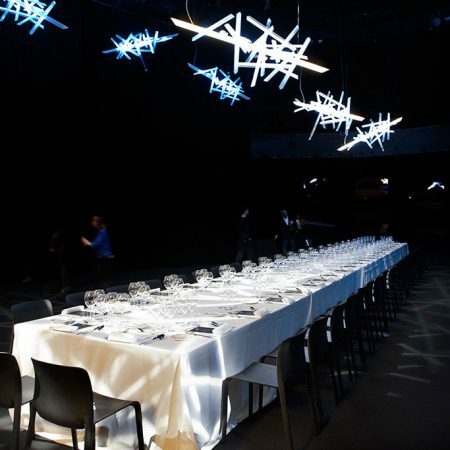 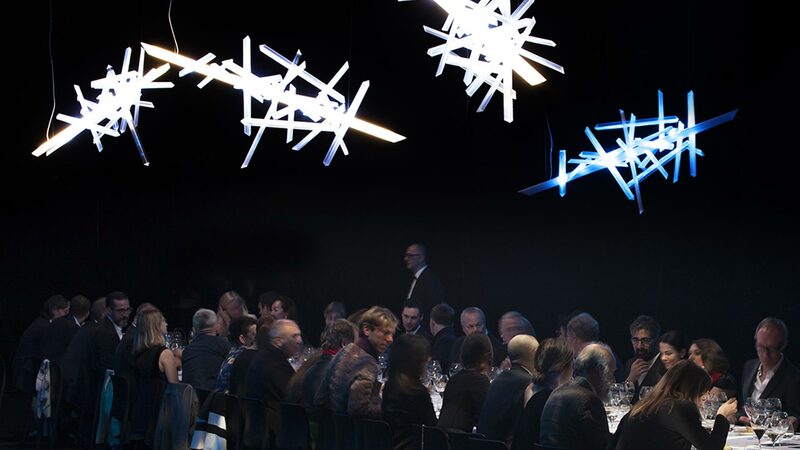 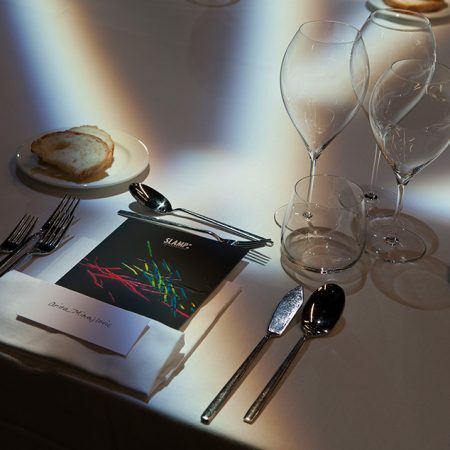 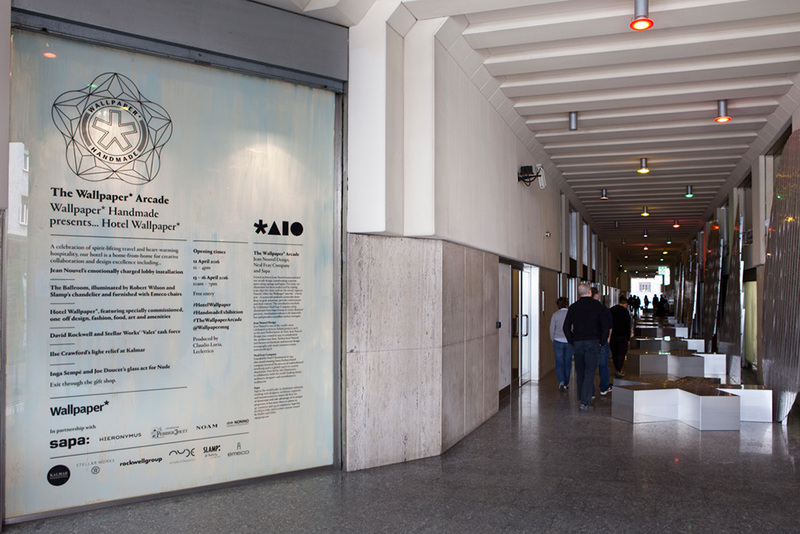 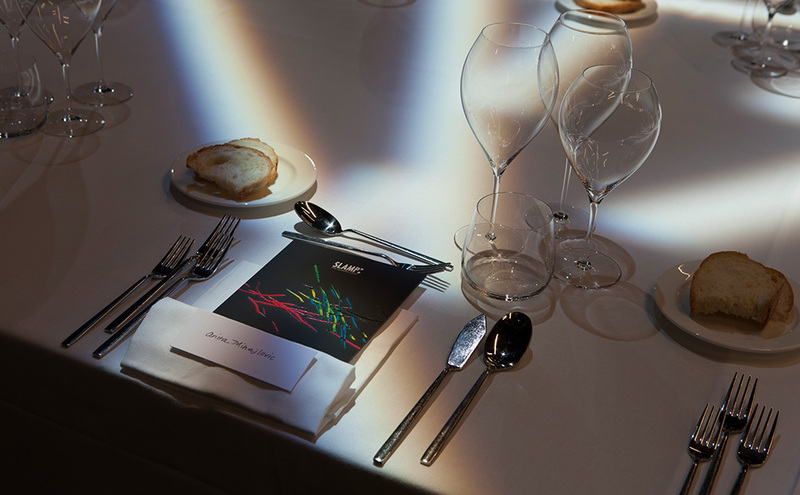 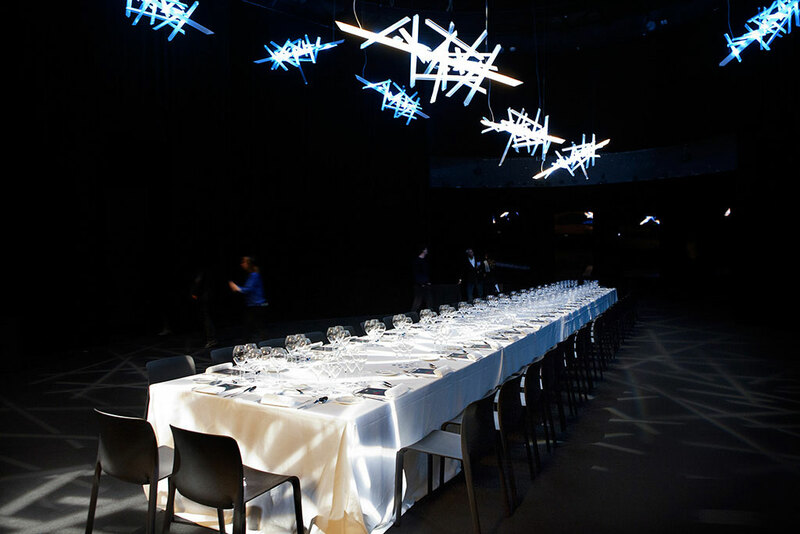 Milan’s Teatro dell’Arte della Triennale hosts an imperial table for an exclusive dinner for forty v.i.p. 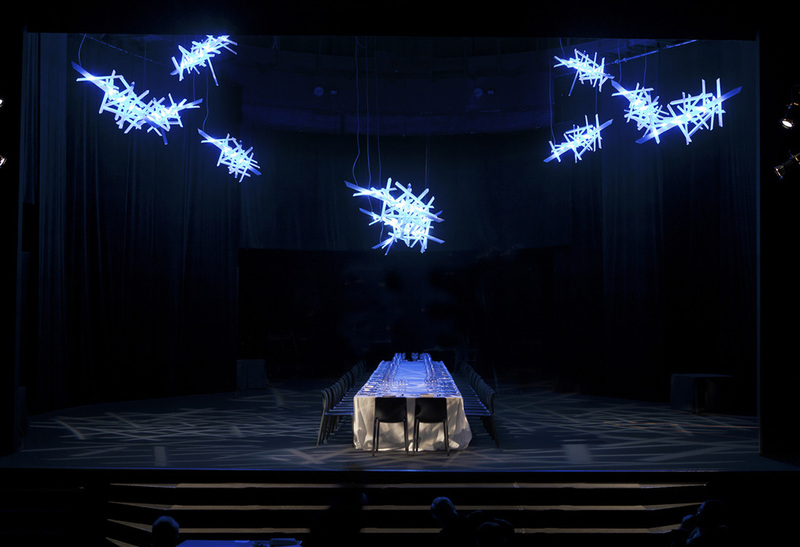 guests, while sixteen La Traviata sculptures “perform” in perfect choreography, transmitting Wilson’s seductive, magical chromatics. 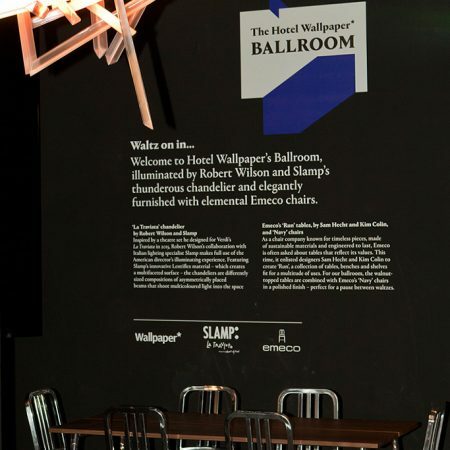 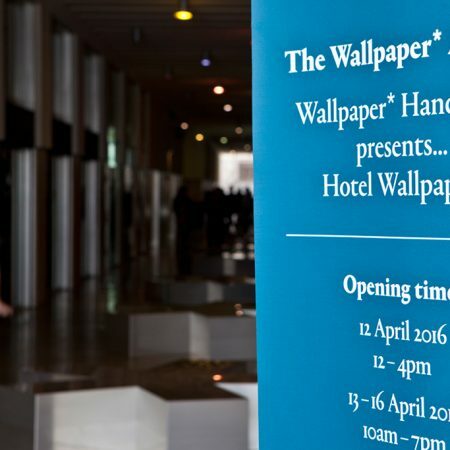 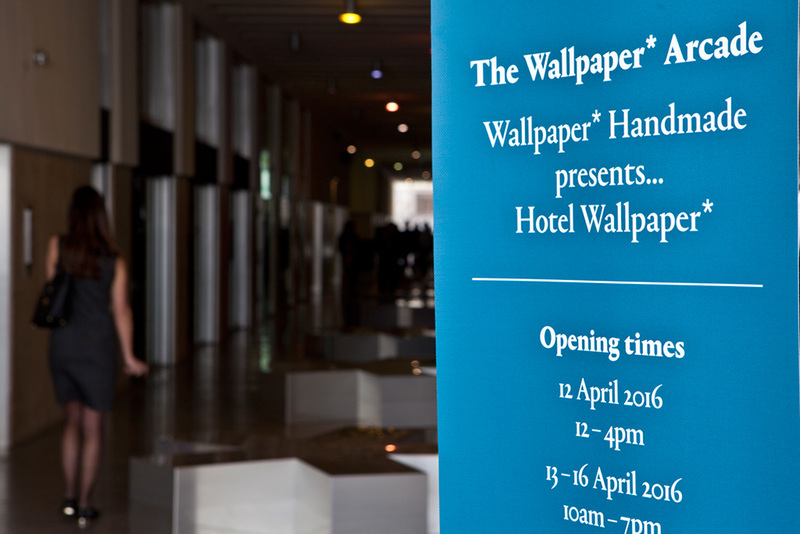 At the same moment, on Milan’s Via San Gregorio, inside the Hotel Wallpaper exhibition hosted by Wallpaper Magazine, the Ballroom is illuminated by “La Traviata” sculptures. 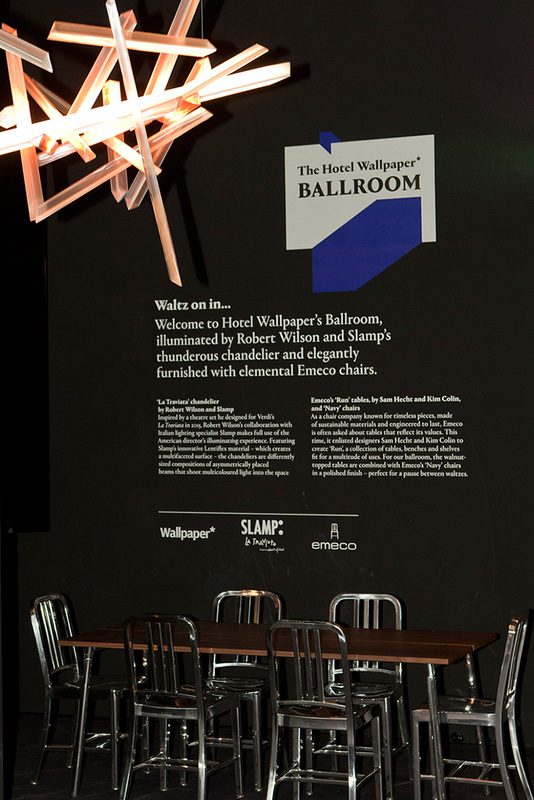 Anohni’s music accompanies fantastic cocktails; Wilson sneaks in a visit just before the crowds pour in, ensuring their visit to the Arcade. 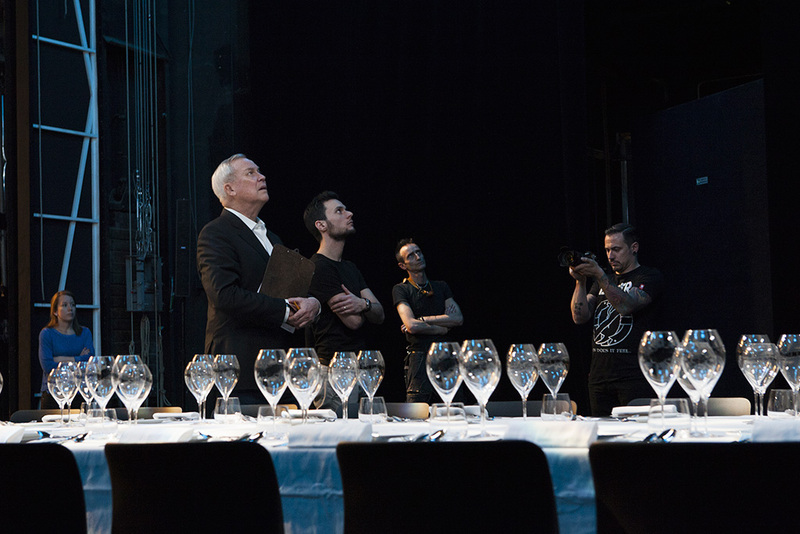 The team, as well as their guests, are overwhelmed with emotion.